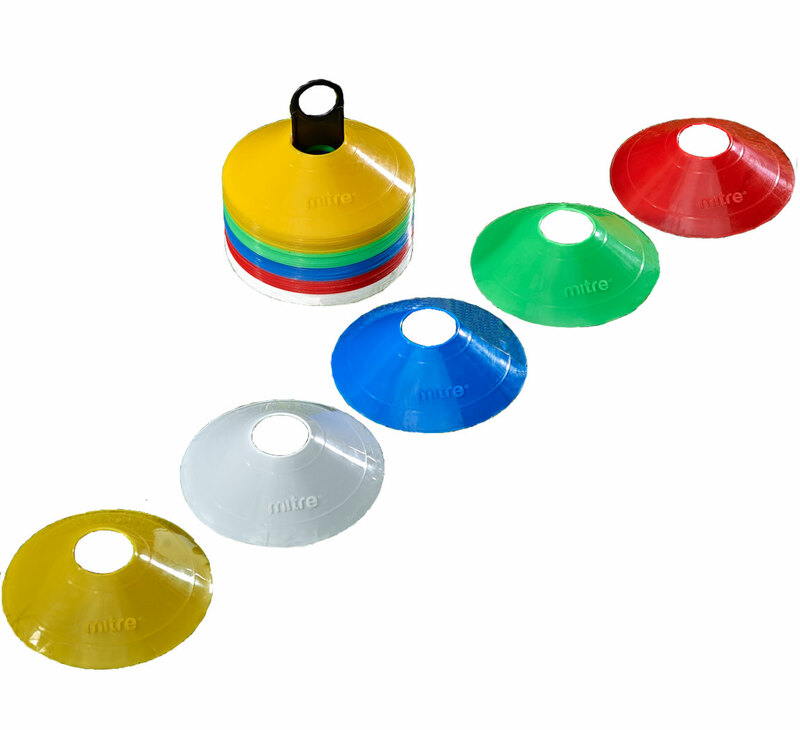 Ideal for any coach is this handy set of Mitre space marker cones. This pack has 50 cones of assorted colours and come complete with their own cone holder and a mesh bag to store them in, after your session. They can be used for agility training, body control, direction change markes and for use when dribbling to heighten your control in tight spaces. They can also be used to mark an area of play. Approximately 200mm in diameter with a rise of 50mm.